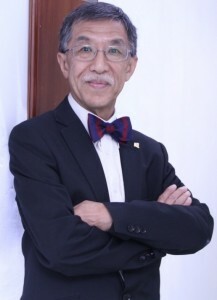 Prof. Kok Wai CHEAH is the former Head and Chair Professor in Department of Physics, as well as Director of Institute of Advanced Materials, Hong Kong Baptist University. He took his B.Sc. Hon degree in Physics, then M. Sc and DIC in Science of Materials, and Ph. D. in Electrical and Electronic Engineering all at Imperial College, London. After his Ph. D., Prof. Cheah has spent 10 years in the UK industry, including 8 years in Astrium Space, UK, working on various satellite projects including meteological satellites and the Space Station. He joined the Department of Physics, Hong Kong Baptist University in 1990. He is Fellow of Institute of Physics, UK. He also holds Visiting Professor position in Fudan University, Shanghai, China, Sun Yat-sen University and Jinan University, Guangzhou, China. He is one of the founders of Cathay Photonics Limited, a spin-off company from Hong Kong Baptist University, and he is main person behind invention of the ultra-hard anti-scratch thin film. His research areas include linear and non-linear optical properties of organic complexes and plasmonic nano-structures, organic and inorganic phosphors and organic electronics. He has presented more than 260 papers in journals and conferences, also 9 US patents and 2 Chinese patents.